Ok I admit it’s becoming increasingly embarrassing to dine with me! lol Now I have the idea in my head to “light” the dishes using the flashlight app from one of my phones while simultaneously shooting “flash off” from my iPhone. It’s the photographer in me- can’t help it! I have to get the best pictures and I have to blog what I eat. Yes.. it’s obsessive as is my mission: REINVENTING INDULGENCE! This visit was to the newly opened CAFE BLOSSOM in the West Village on Carmine Street between Bleeker and Bedford. Listen up vegans, vegetarians and those who date them… this may very well be the place to beat for my upcoming TOP VEGAN RESTAURANTS guide which will be self-published somewhere- online or in a pamphlet! 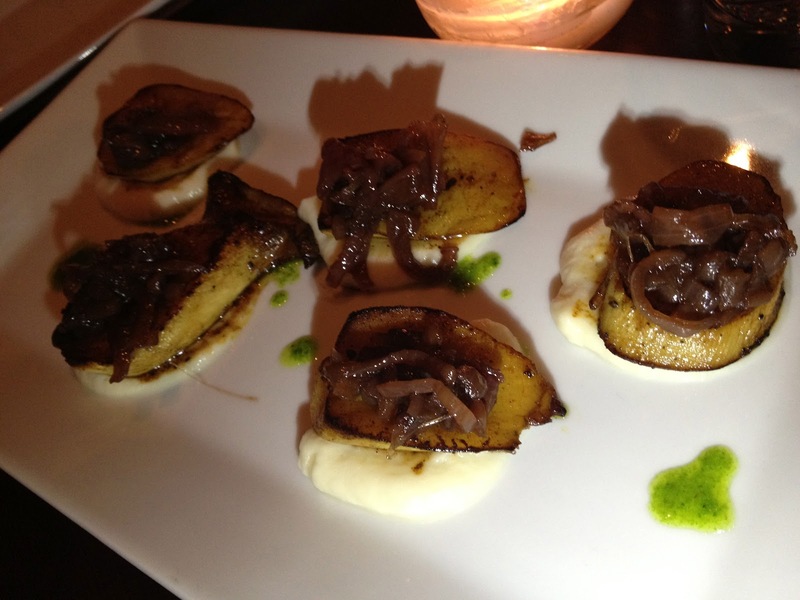 I have been to quite a few restaurants already and others that I haven’t blogged yet because those visits were prior to January 1st. CAFE BLOSSOM was simply amazing! BLOSSOM is a name to get acquainted with if you haven’t already. They have BLOSSOM- on 9th Avenue by the HIGHLINE (great date spot); they have Cafe Blossom in the West Village and Upper West side; they have a take-out place on 9th avenue called Blossom du jour; and finally a bakery on 9th Avenue (BLOSSOM BAKERY) and an Organic Wine bar & Bistro on 1st Avenue & 80th Street called the V-NOTE. BLOSSOM and VEGAN go hand in hand! Cafe Blossom has glass windows that open to the street- I don’t recall if they have outdoor tables- yet. The upstairs is cozy and welcoming – the downstairs a tad more elegant and romantic! There was not a drop of food left on those plates- not one! I am a bit of a loyal eater. 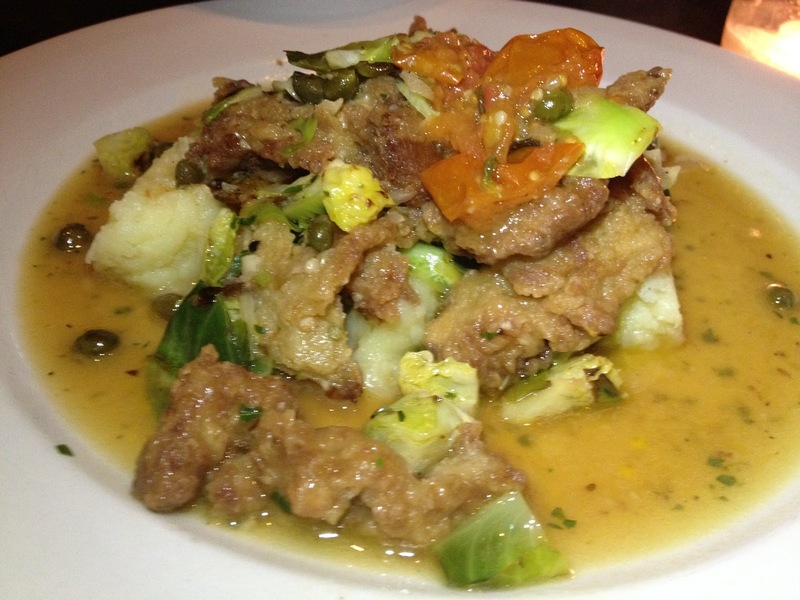 When at the original BLOSSOM- I always order the insanely delicious seitan scaloppini. They didn’t have the same exact items but they had something close- the seitan piccata. Both are incredibly amazing but when push comes to shove- I have to shout out the piccata- congratulations– didn’t know the other dish could even be outdone! – can anyone say no to that? 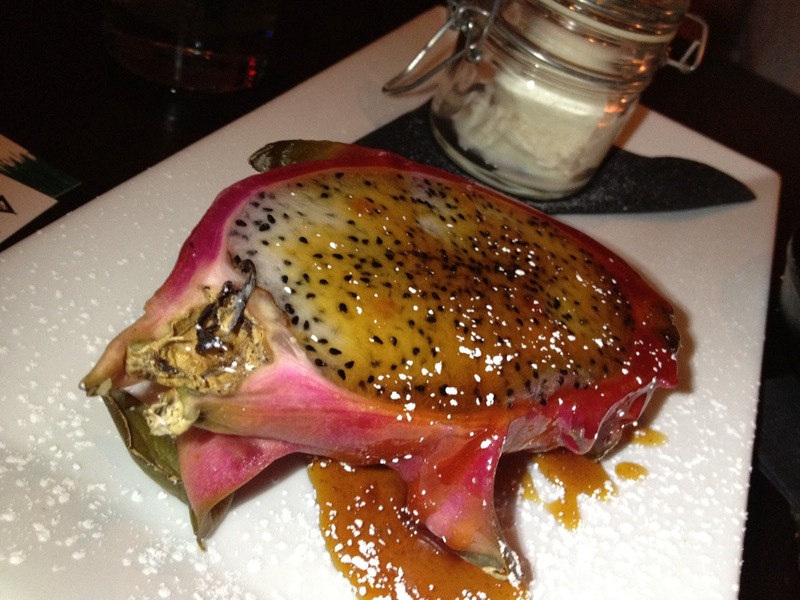 The cashew ice cream that came with the dragon fruit was an incredible compliment to the fruit itself. 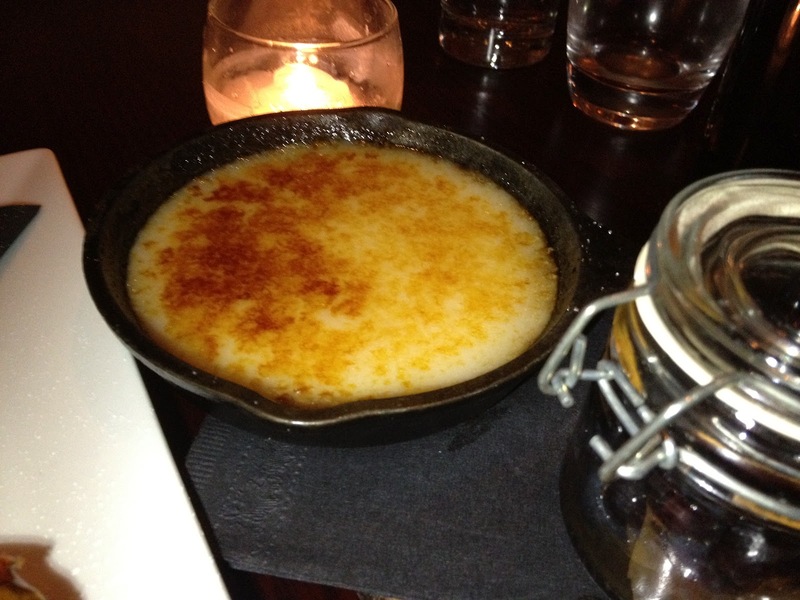 The creme brûlée is the best I have ever had.. vegan or not! I’m beginning to wonder about my sugar addiction! There is no doubt in my mind now that sugar and belly fat are connected. 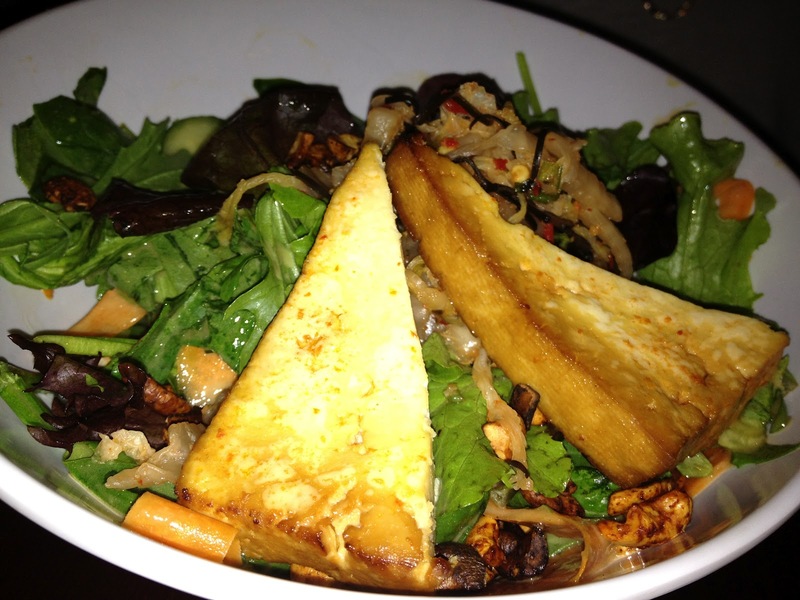 Going vegan… eating healthy… in any case, is a process! I am getting there! Vegans will travel for food? Oh yes, these vegans will once more be traveling from England to NYC this summer to sample the delights of the various vegan eateries, and Blossom always heads the list. We can't wait to try the new one in The Village.